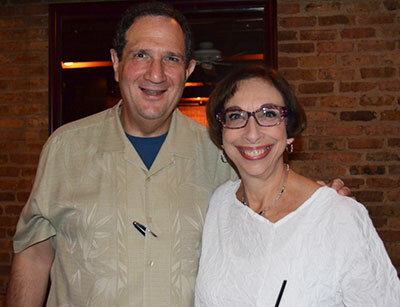 During their first quarter at the University of Chicago School of Social Service Administration (SSA), Jerry Wolf and Jan Harris took a class on the history of social welfare. This encounter that led to their marriage, and began their time at SSA that has guided them in their careers. Jerry was taking courses in the social administration concentration and Jan was taking courses in clinical practice. He went on to work on issues related to public finance and she eventually became an in-house lawyer, providing general legal advice and focusing on transactional and employment law. The class in which they met was a required one, taught by the late Frank Breul, AM '41. Breul taught that society has long struggled with finding ways to solve social problems, recalls Jerry. The course traced the struggle to care for people, from the era in which people begged on the streets, through the late 19th and early 20th centuries when settlement houses were established, through the modern era in which people pay taxes for the government to take care of people in need. "But the question of how we care for people in need has never been completely resolved. Each generation has a new way of addressing these needs," Jerry says. That interest in social policy brought him to SSA in 1972 after he graduated with a BA in political science and economics from Washington University in St. Louis. He had grown up in Chicago's South Shore neighborhood, and has a sister, Judy Wolf, AB '68, AM '70. He was drawn to SSA through an interest in social policy at a time when Dean Harold Richman was establishing the School as an important center for studying social programs, and when many of the new federal social programs, such as Medicare and Medicaid, were being implemented. He took policy courses in which he learned to analyze programs to understand their purpose. His field studies put him in touch with many important issues. His first year assignment was at the Chicago office of the Department of Health, Education, and Welfare. Officials in the office worked with leaders at the state level to help guide them in developing programs that met new federal requirements. He spent his second year field placement in Washington, DC, working at the Department of Transportation. He worked on issues related to transportation for the handicapped at the state and local level before the Americans with Disabilities Act was passed in 1990 to radically change access to pubic transportation for people with mobility issues. Upon their graduation in 1974, the couple married. Jerry entered the University of Chicago Graduate School of Business (now Chicago Booth), to learn more about how money is spent on social programs. The combined experience of a social policy and a business degree led to a career working on issues of public finance, especially the management of health and human services programs. "SSA provided a great exposure to our social service programs and why they exist," he says. "I believed that it was important to add a business perspective to how these programs are designed and delivered. Many people think there is a competition between what businesses do versus what our social programs offer. Business approaches complement social service delivery systems." He first worked for a large accounting firm that did work in public sector finance. In the 1980s, he joined a start-up consulting firm. Several years later, as a partner, he helped sell the firm to MAXIMUS. He later joined a consulting firm specializing in public financing in health and human services and in 2013 started a new company specializing in local government public finance. "The more efficiently and economically we can deliver programs, the higher a return on investment our social programs can generate for recipients, the more we can use data to design and deliver services, the more we can leverage resources, the more services we can provide to the right people," he explains. "That's essentially what SSA is about- designing programs that serve the public. Some of my most successful projects were those that allowed me to wear both my SSA and Booth hats at the same time. I have done quite a bit of work for the City of Chicago, for example, and several Midwest states to help them claim federal dollars they are entitled to," he says. Jan came to SSA after completing her BA in sociology from the University of Michigan. She grew up in Highland Park, IL and her mother, Beaty Harris, AM '49, was a social worker. Her mother's continued employment as a school social worker influenced Jan's decision to pursue social work as a career. She entered SSA thinking that she would also pursue a law degree with the intent of combining the law with her experience as a social worker. Initially, she thought that she would combine her interest in medical social work with a law degree focusing on medical issues. Ultimately, she decided to merge social work with her interest in employment law. Although they were in the same class, their romance began after Jerry gave Jan a call, recalls Jan. "We got together and saw each other for about four months before we actually started going out," she says. "I went to SSA because it had an excellent reputation. I took part in a treatment program that was on the cutting edge," she says. "That program was different from the traditional program of treatment that focused on the individual and traditional therapies; it looked at the individuals in a larger context, in connection with institutions. It was much more global in its perspective," she says. One of the professors in the program was Laura Epstein, SB, '34, AM '36. Epstein developed one of the earliest, and most commonly used, methods of short-term psychotherapy. Observing that clients were frequently unresponsive to traditional approaches, Epstein and her colleagues developed methods to engage clients in all aspects of decision-making. Jan's first field placement was at Michael Reese Hospital, where she worked with pregnant teenagers. In her second year, she experienced a field work placement that did not work out. With the help of her adviser, Phil Hovda, she was placed at the former Billings Hospital, part of The University of Chicago Hospitals. "After I completed that placement, I was hired at Billings as a medical social worker and continued there for three years," she says. She was assigned to the Endocrinology and Rheumatology services and participated in the multidisciplinary patient care meetings which enabled her to learn about her patients' respective conditions enabling her to provide counseling to her patients and their families. After leaving Billings, she became a school social worker, and had an SSA student work with her during a field placement. She held the school social work job for a year before she entered law school at Chicago-Kent College of Law, part of the Illinois Institute of Technology. "Many of the skills I learned at SSA have been helpful to me as a lawyer. I've learned to be receptive to the perspective of the client, how to do interviewing, and how to listen to what they (clients) are saying," she says. "It has been particularly helpful when I've had to help people who have emotional problems." She is currently a corporate counsel for a consulting firm that works on public transportation issues. "My interests have been in labor and employment law. When I first started practicing law, I represented the Illinois Education Association, whose members are teachers. I think my background at SSA help me advocate better on their behalf," she says. The family is now in its third generation of connections with SSA and Chicago Booth. The Wolf's daughter-in-law, Tracy Lande, received an AM in 2011 from SSA and is now a stay-at-home mother with the couple's first grandson. Their son Franklin is a labor and employment law attorney and their daughter Rachel is a 2015 graduate of Chicago Booth. They find that connections with SSA come up in unexpected ways. "We were on a trip to Southeast Asia and one of the people in our tour group was our classmate Charlie Zinn, AM '74. He came to our wedding, but we hadn’t seen him in 40 years. He’d gone on to medical school, but, he also found that his experience at SSA is something that has contributed in many ways to his career," she says.